Akk dogs form strong bonds with their handler and can be trained to perform multiple tasks. These pack creatures are capable of domestication and, with the right handler, can be quite vicious. Banshees, native to the planet Umbara are incredibly agressive and deadly. While expert creature handlers can train Banshees to perform multiple tasks, they should never be left unattended. Bogstalkers are one of many ancient species from the planet Taris - thought extinct until its rediscovery after the planet's bombardment. Expert creature handlers can train Bogstalkers to perform multiple tasks and can be quite ferocious in combat. Utterly at odds with the tranquility of their native Alderaan, bolraidas are one of the most aggressive species in the galaxy. However, a fearless handler can form a strong bond with their Bolraida, training them to perform multiple tasks. When a group of Makeb's early settlers explored the planet's underground caves, they encountered a vicious burrowing animal they named the exoboar. These creatures are capable of domestication and, with the right handler, can be quite vicious. A caste-based species separated by positions of drones and warriors, geonosians are born into hives with each led by a queen. If a Geonosian respects you as a leader, you will gain protection until death. Sharing a family tree with the more aggressive vrakes, Ginxes are often harmless, curious amphibians that frequent Makeb's marshes. However, an intrepid handler can form a strong bond with their Ginx, training them to perform multiple tasks. K'lor'slugs are large, carnivorous worm-like creatures whose gaping mouths are lined with concentric rings of razor-sharp teeth. Due to their aggressiveness, domestication of these creatures is tenuous at best. Handlers are advised to use extreme caution and protective armor at all times. Krakjyas are majestic, yet savage feline predators with a strong instinct for self-preservation. A patient handler can form a strong bond with their Krakjyas, training them to perform multiple tasks. Mawvorrs are generally considered opportunistic hunters. They prefer striking at whatever wounded predators or wandering humanoids they come across to carefully hunting and stalking their food, though in packs they exhibit increased aggression and have been known to attack even the mighty vorantikus. However, a patient handler can form a bond with their Mawvorr, training them to perform multiple tasks. A predator subjected to experimentation on the twisted world of Nathema, this beast has been given a new lease on life now that it's been freed from the Keepers' Sanitarium. A grim survivor of Nathema's cataclysm, the ferocious voreclaw can be trained to obey a strong-willed leader, making it a terrifying ally on the battlefield. Nexu are vicious feline predators commonly used for arena battle. However, a patient handler can form a strong bond with their Nexu, training them to perform multiple tasks. These oversized hounds were bred to be fearless and relentless. Left to guard the Sith tombs of Korriban, they have sharp horns, long claws and savage teeth. They are unusually intelligent and seem capable of communicating with one another through unknown means. It is said that the species was nonviolent and grazing before being corrupted by Sith alchemical experiments that awakened a latent part of their brains and changed them into unnatural abominations. Random mutations now occur that produce some tuk'ata that can live for centuries and grow to immense proportions. The heavily armored, sharp-toothed vine cat can pounce up to eight meters and has been known to tear a sleen apart in less than ten seconds. Its armored frill and hide protect it against larger predators such as the jurgoran, and its claws make it an expert climber when it needs to get away. A patient handler can form a strong bond with their vine cat, training them to perform multiple tasks. 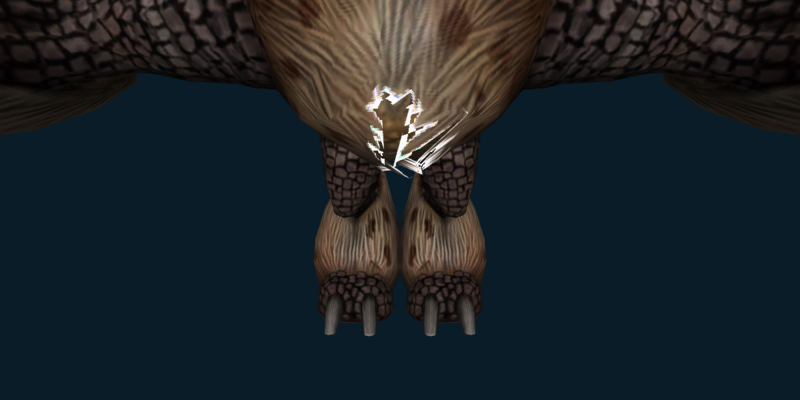 Your creature slams the ground to stun the target for <<1[%d seconds/%d second/%d seconds]>>. Your creature cuts the target by dealing <<1>> internal damage over a 10 second duration. Your creature slams into an enemy hitting all hostiles 4m around the enemy target dealing <<1>> kinetic damage to up to 5 targets. Your creature kicks the target dealing <<1>> internal damage and causes the target to become immobilized. Your creature sensing the target's weakend state goes in for a big bite, dealing <<1>> internal damage. Can only be used on targets with less than 30% health. Your creature projects special digestive juices on the target healing for <<1>> and cleansing it of mental and physical effects over 9 seconds. What an incredible smell! Your creature unleashes a mighty cry that dazes the target for up to 10 seconds. Damage to the target causes this effect to end prematurely. Targets may only be affected by Hypnotizing Cry once every 30 seconds. Target must not be suffering from periodic damage and have greater than 90% max health. Your creature attacks the target and delivers a powerful attack, dealing <<1>> weapon damage, heals for 25% of damage dealt and generates a moderate amount of threat. Your creature's collar overcharges unleashing an electric discharge dealing <<1>> internal damage to up to 5 enemies 5m around the impact. Generates a moderate amount of threat and reduces incoming damage by 50% for 10 seconds. Does not hit sleeping, lifted, or incapacitated enemies. Your three-tongued ginx lets loose its genetically modified tongues and pulls the closest three targets while generating a high amount of threat. Cannot be used on targets in cover or on targets with Boss Immunity. Taunts the target, forcing it to attack your creature for 6 seconds. Also reinforces your creature by placing an absorb shield that absorbs a moderate amount of damage. Your creature taunts attacking enemies forcing them to attack your creature and generates a moderate amount of threat.